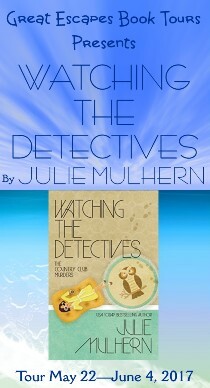 If you like warm-blooded, well-thought-out characters, described with many hyper-hyphenated adjectives, consider adding Watching the Detectives to your shelf……. I am such a huge fan and my husband who was a teen in the 80’s can appreciate all the various things that are mentioned when I repeat them to him it’s like a trip down memory lane move over Jessica Fletcher Ellison Russell is on the case! A well written cozy with a surprising victim count brings to light a serious problem. While this story takes place in an early 1970s setting, it is a problem that persists to this day and needs more awareness. This novel shares a creative action one woman took to do something to help other victims. Watching the Detectives is a fast-paced, fun, addictive read featuring some of my favorite characters in mystery fiction. Ms. Mulhern really transports the reader to the 1970s. That is an era that is before my time, and I absolutely love being able to see it through these mysteries. I love the covers of all the books in this series. They tie together so well! 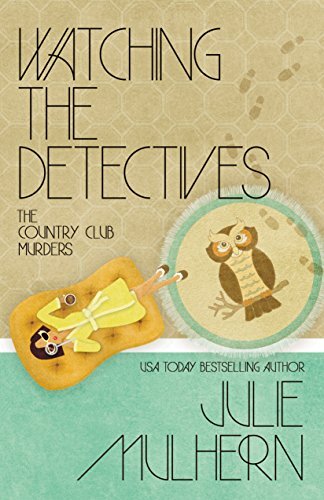 A country club is a great setting for a murder. I love murder mysteries with snark! It would be great to win this book. I have not read any books by Julie Mulhern. (YET!) These look like books that I will like.